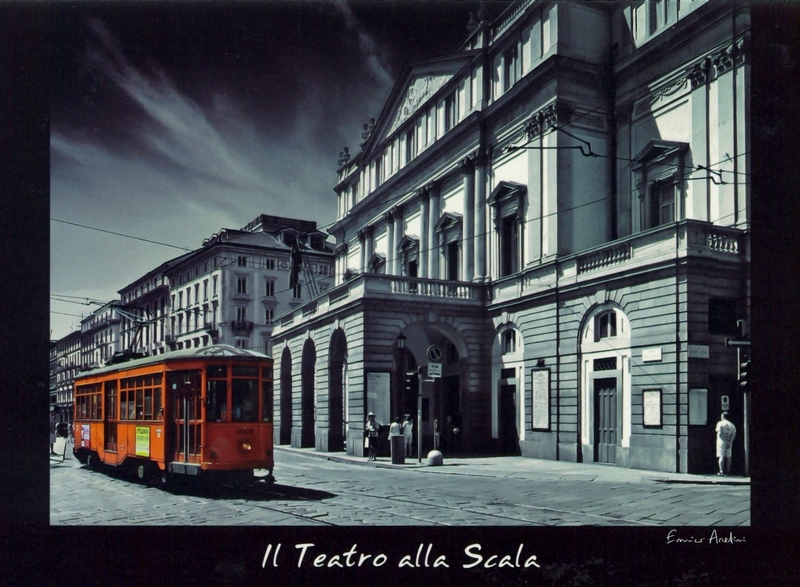 La Scala is Italy’s most prestigious opera house and has been for several centuries. I’m no “opera connoisseur” but I do appreciate it, and I’ve been to the opera house in Pavarotti’s hometown (Modena) to see a French version of Romeo & Juliet. The supertitles (that is, subtitles which are projected above the opera rather than below) amused and surprised me but to be honest would probably be necessary even in a language I do speak, as a one syllable word often lasts a good 2 minutes! Opera isn’t something I could listen to everyday, and for me personally is best taken in small doses, but does make for a lovely evening out in very elegant company. I also love the scala. The most fond memories of the building that I have are when I used to go with my dad to see concerts played there! !